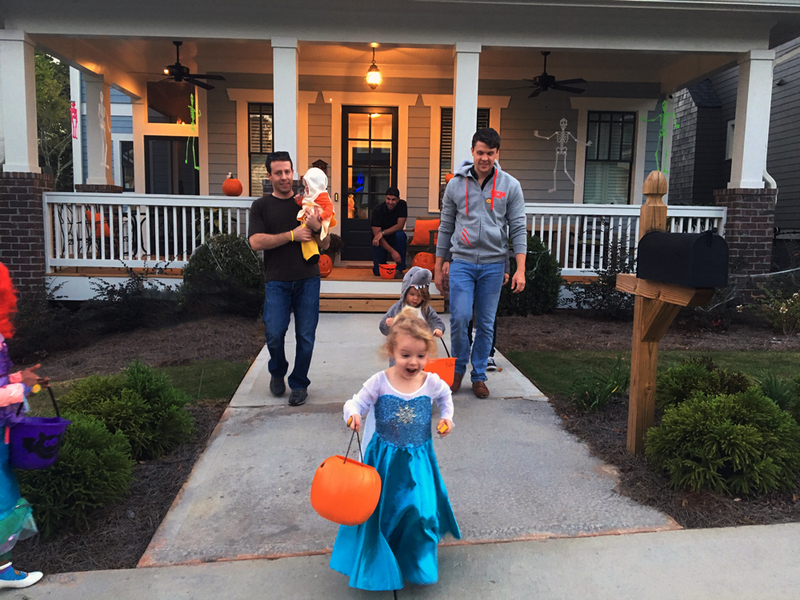 Traditional neighborhood design promotes a number of positive attributes for a higher quality of life including physical health, economic and social opportunities, and more candy. 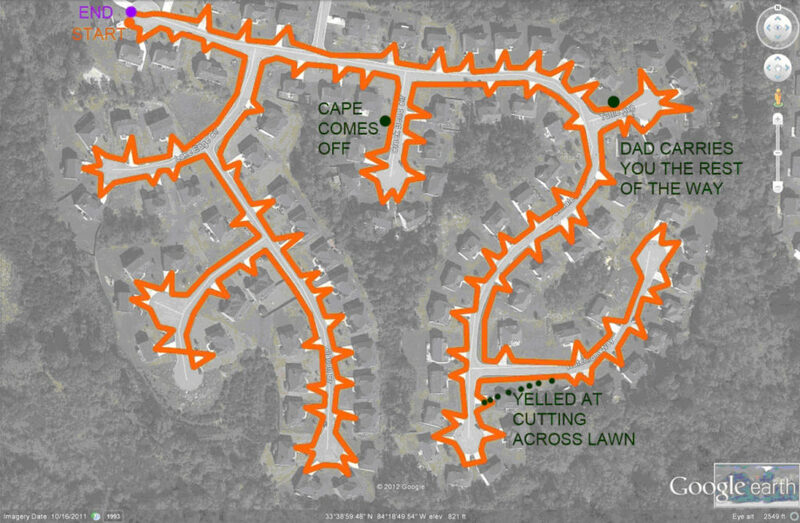 That’s right, traditional neighborhood design is also better for trick-or-treating. For those looking to score big on Halloween night, you may want to by-pass the suburbs and head straight for your nearest new urbanist communities. 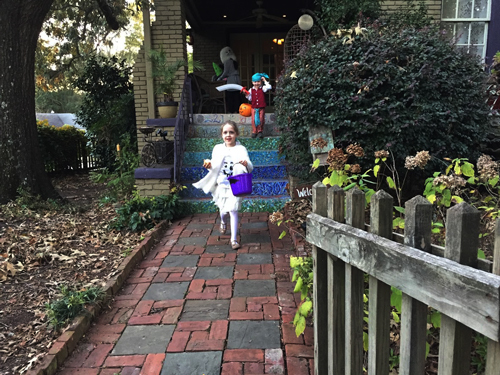 Candy lovers know that all you need is a costume and a bucket to satisfy your sweet tooth, but in order to maximize a Halloween outing one must focus on the numbers including route efficiency, candy distributors per block (typically dwelling units), and “candy density” (candy pieces per acre). These metrics will not only save you energy, they will also help maximize your time. As any ghoul or goblin knows, time is candy. Navigating neighborhoods in the dark can be challenging. Even the Harry Potters on October 31 would find it difficult to work their way through a neighborhood of cul-de-sacs, having to double-back more often than a rousing quidditch match. As an alternative, gridded streets allow for maximum route efficiency by maximizing route options. Cowboys and Princesses alike can easily navigate an orthogonal grid and hit every front porch with a light on at a very high speed. In the suburban model, gated subdivisions and long driveways leading to a stoop increase the length of travel and thus increase the time spent per house. 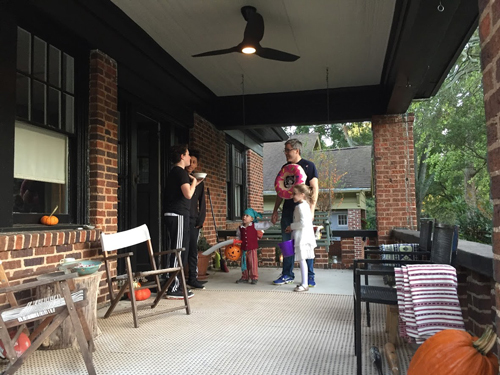 Therefore, what kids really want is a nominal front setback and straight in-and-out walkway to the front porch so they can get to the next house quickly but still have time for a “thank you.” Thus, the most efficient routes for trick-or-treating are found in the gridded and interconnected streets of traditional neighborhoods. The number of houses or “targets” is greatly increased in an urban setting as well. While Power Rangers can only hit single-family homes in suburban areas, traditional neighborhoods feature easily accessible duplexes, townhouses and multifamily dwellings, too! These higher density products equate to exponential opportunity for a huge candy-grab in a short walk. If the suburban model has one family on an 80 foot wide lot and an urban model can produce 10 units or more on that same lot, the number of potential Milky Ways increases ten-fold for the same energy expenditure! Wookies everywhere rejoice! As expected, the quantitative metrics fall in favor of the walkable, mixed-use communities. 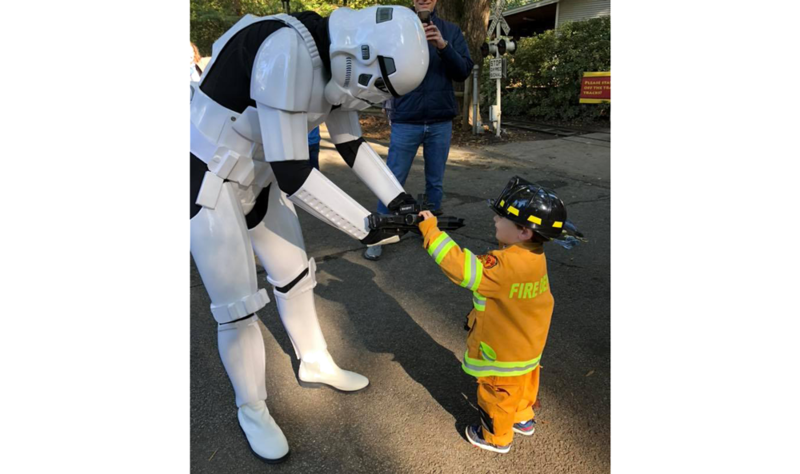 Trick-or-treating in Glenwood Park has the potential to yield three times more candy with a candy density of almost 5 times that of Conley Creek Subdivision. Additionally, all that candy could be yours in just over half the time. Less time on the trail with a bigger score means much more candy and much more time for candy consumption as well. Plus, mixed-use communities are home to retail shops, which are often open late on Halloween to take part in the festivities. Since these shops are trying to drive business, they will likely be more generous in candy-giving (none of the one-piece rule). 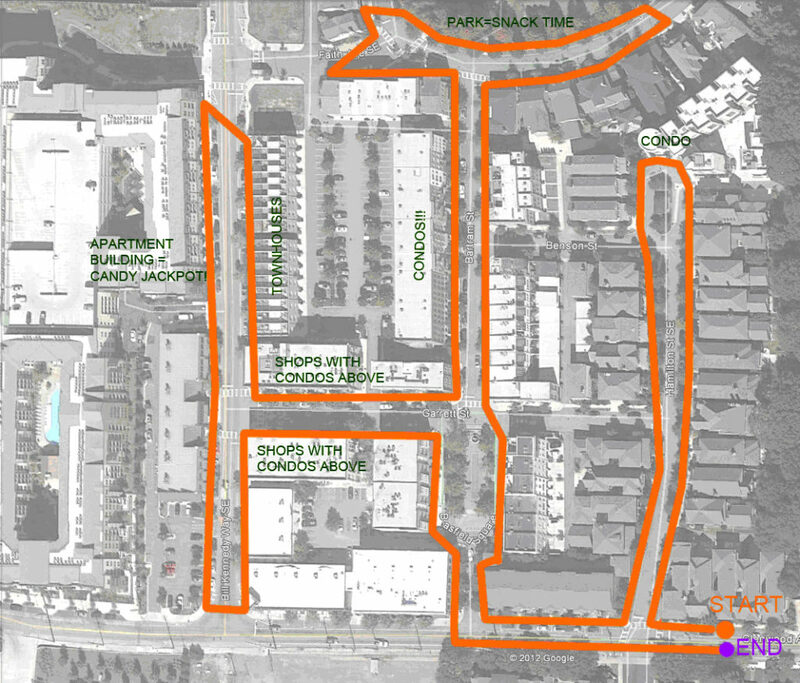 After all that candy, in a mixed-use community the dentist is probably just around the block.